Michelle Hamilton is a Registered Psychologist (College of Alberta Psychologists) and a Certified Professional Counsellor (Canadian Counselling and Psychotherapy Association), with a Master’s Degree in Educational Psychology from the University of Alberta. 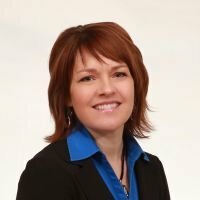 Michelle is in private practice in Lloydminster, and provides professional psychological therapy, and workshops promoting healing and personal growth. Michelle has over twenty five years experience as a professional counsellor, including work in addictions treatment and as a school counsellor with the Lloydminster Public School Division. Michelle works as a consultant to agency leaders, parents, teachers and other helping professionals, and has led many projects and committees. Michelle has been involved in developing and leading school division tragic events response teams, and has been trained in Critical Incident Stress Debriefing, Crisis Response Training, Threat Assessment and Suicide Risk Assessment. In 2007, Michelle authored a project entitled, “A Risk Reduction Program for Compassion Fatigue: Professional and Personal Self-care for School Counsellors” in partial fulfilllment of her Master’s degree. Following the extensive research and writing involved in that project, Michelle developed workshops and seminars on the topic of Compassion Fatigue and Self-care for helping professionals. Michelle has since presented at many provincial, regional and conferences (see client list). In May of 2008, Michelle presented at the National Canadian Counselling and Psychotherapy Association Conference in Moncton, New Brunswick. Her presentation was entitled, Self-Care begins with Self: How counsellor self awareness can improve resiliency of counsellors. She also presented at the same National CCPA conference in Saskatoon in May of 2009. Michelle also holds a certificate in Professional Coaching, completed in November 2002 through Erickson College, Vancouver.